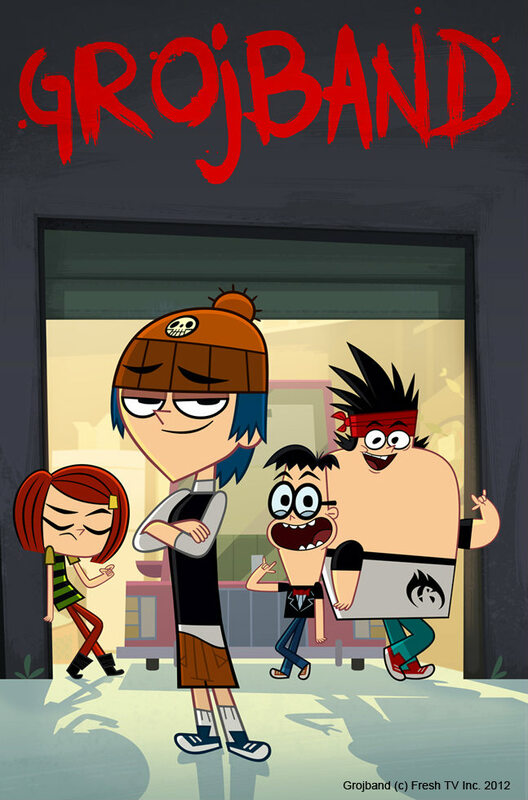 Grojband is a Canadian animated series developed by Fresh TV. Grojband follows an indie rock band formed by Corey and his three best friends as they work to propel their garage band to international stardom. The font used for the title of the TV series is Trollslayer, a handmade brush font designed by David Kerkhoff from Netherlands. You can preview and purchase the font here. The Trollslayer font identified above is not available for free, please follow the link above and purchase the font. Meanwhile, you can take a look at our collection of fonts for cars, pop music and apparel as well as round-ups of new & fresh fonts around the web. In addition to Grojband Logo, It seems we can’t find other examples (logos, movie posters, album covers etc.) of Trollslayer typeface in use.